We hire our tin cans made at Shirley Village by Norris & Warner-one of them comes on and solders up the cans for us. We put up tomato, Peach, Cherries and Quince. This brick-veneer structure was directly behind the Sister’s Shop and was similar in size. It was collapsing in the 1950s and was eventually demolished in the early 1970s. (Pictures can be seen at the Historical Society.) 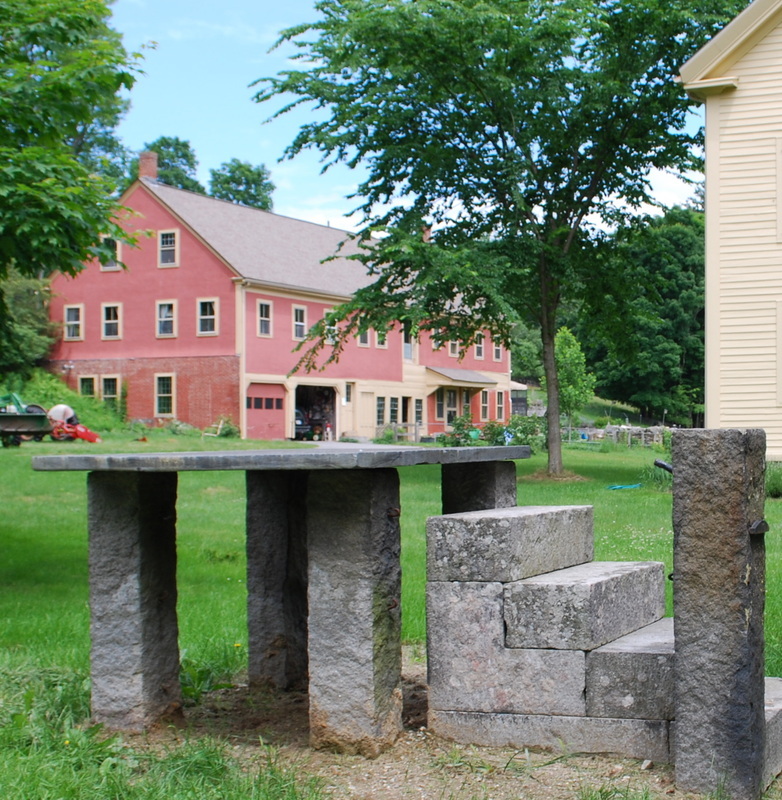 A garden is now in the location of the shop; the foundation stones still in place show the size of the structure. The long stone retaining wall, which also extends behind the Sisters’ Shop, is now exposed for all to appreciate.